The American philanthropist, businessman and owner of JCS International Ronald S. Lauder joined the Zero Discrimination movement, led on a global level by First Lady of the Republic of Panama and UNAIDS Special Ambassador for Latin America Lorena Castillo de Varela. 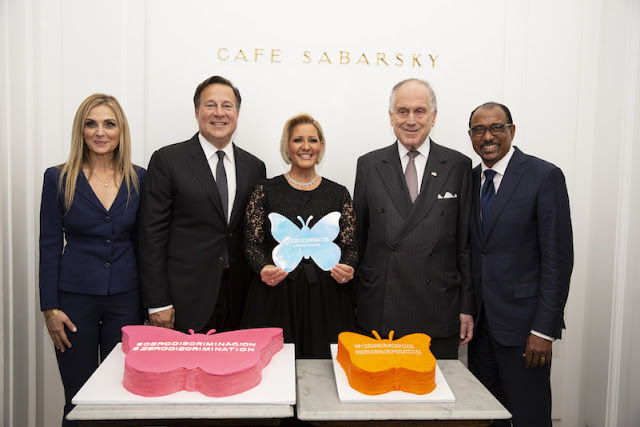 "The First Lady Valera is a powerful advocate for the rights of children and it's a privilege to join her Zero Discrimination movement," said Ambassador Ronald S. Lauder. "I look forward to many years of collaboration, particularly on the JCS International Young Creatives Award, which I am proud to sponsor." Lauder has served as President of the World Jewish Congress for over a decade. He is also a UN Women for Peace Association "Ambassador of Peace"; First Lady Valera was honored at UNWFPA's 2018 International Women's Day luncheon with the group's prestigious Leadership Award. Lauder joined the Zero Discrimination movement after learning about the First Lady's global work to guarantee human rights. The Zero Discrimination movement goes hand-in-hand with Panama's historic calling to promote dialogue, consensus, peace and human rights. 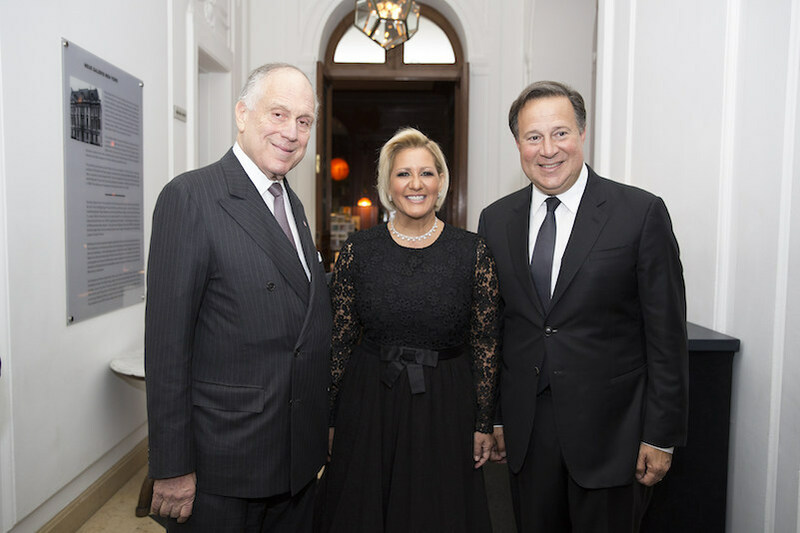 During a private dinner in New York, Lauder learned about the efforts of the Laureados y Líderes Por Los Niños organization to fully protect children's human rights. The event was also attended by the leadership of the International Academy of Television Arts & Sciences, including Board Member and JCS International President Michal Grayevsky, who launched the JCS International Young Creatives Award with the International Academy. The award's 2018 theme is "Stand Up for Peace." Lauder expressed interest in the statement delivered to United Nations General Secretary António Guterres, which called on the international community and the UN to double down on their efforts to preserve the rights of children -- particularly those who are workers and children -- and safeguard their access to education, nutrition, protection and physical and mental health.